This week we have an interview with Gina Franssen. Gina is Minnesota’s first female Brazilian Jiu-Jitsu Black Belt. You can find her at her female focused gym X2 Fitness. We cover a wide range of topics in this interview. The Referee Corner Epi 4: Why does the referee alter the gi? 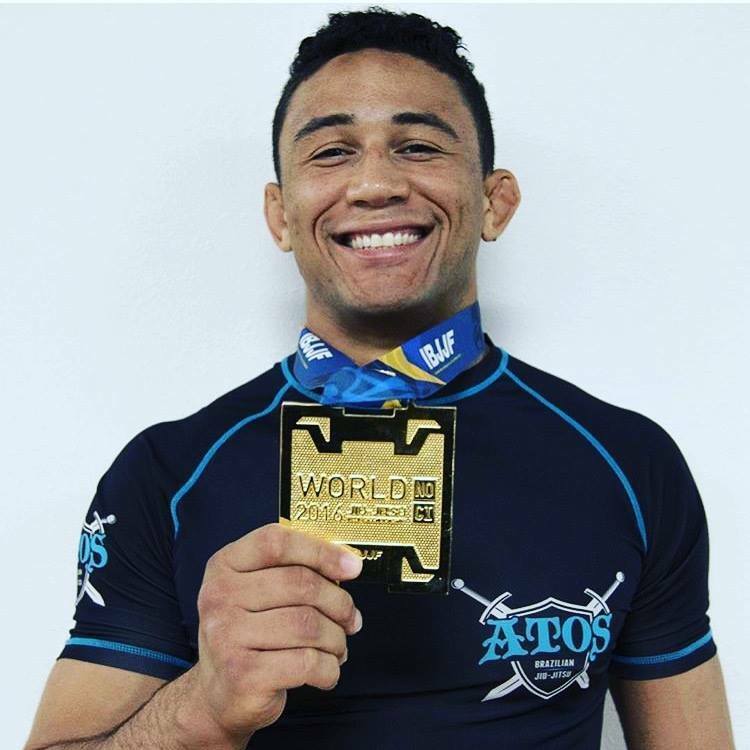 Dominique Bell is a brown belt training and teaching at Atos Jiujitsu HQ – San Diego. Dominique has been on fire on the mats and is definitely a person you should be watching. 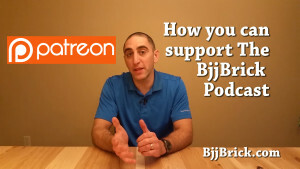 In his spare time he is the person behind BjjComics. 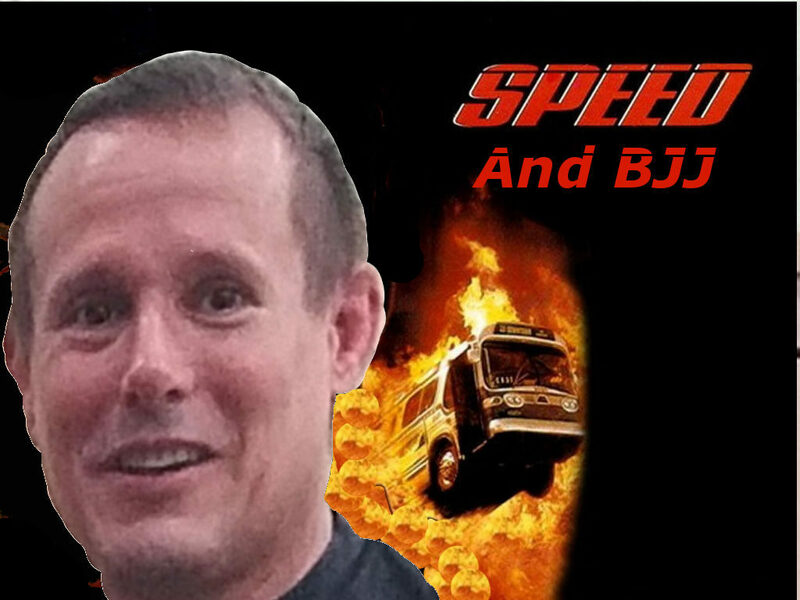 Korbett’s Kids Epi 2- Korbett Miller answers a question about kids training to compete. Check out Korbett’s website here for more info on developing a strong kids program at your academy. Live sparring, for most of us, is why we do jiu jitsu. Live sparring is where things get fun, where we pressure test our techniques, and where we find out which moves work for us and which might not. Live sparring, however, is not the easiest environment for newer students to make technical improvements in their jiu jitsu. Here are a few suggestions that might help. Check your ego. This advice is repeated so often that it has become a bit cliché, but at no time on the mats is it more applicable than during live sparring. Not having your ego in check can cause a you to make choices on the mat that can be detrimental to your progress. Some examples would be: Not rolling with teammates (especially those of lesser rank) who frustrate you and/or tap you often. Not rolling when you’re tired so as not to get beat by a lesser skilled, but fresher or more athletic teammate. Not taking chances or trying new techniques that might leave you vulnerable. Breath and relax. Only when you’re calm can you see what’s happening. And when you can see what’s happening you can start to learn. You will learn more “losing” calmly than “winning” by spazzing and scrambling like a wounded cougar. Have specific and achievable goals. This seems to be especially applicable if you find yourself (like I often do) rolling almost exclusively against grapplers with more skill and ability. If you’re working on your kimura and there’s no one in class that you can actually submit, try to just dominate the arm and catch the kimura grip. 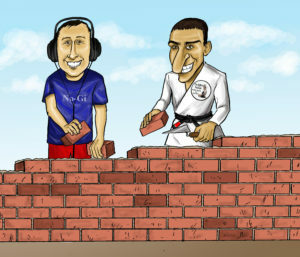 Maybe you’re training partners are too good for even that—what position do you want to set the kimura up from? Set a goal to at least get there. Roll with everyone. 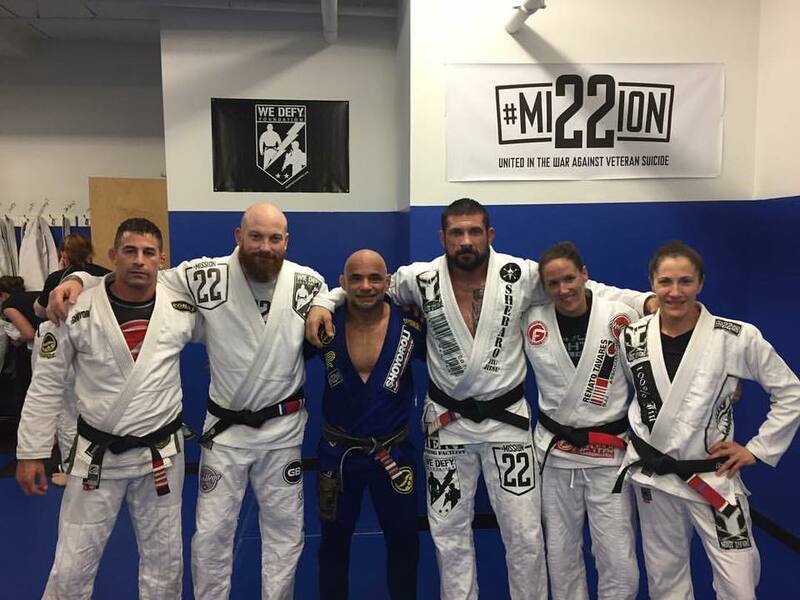 It’s easy to fall into the habit of rolling almost exclusively with a few training partners that give us fun and reasonably competitive rolls. There’s nothing wrong with rolling with our favorite training partners, but we also benefit from those training partners who are behind us a bit in athletic and technical ability as well as those who can crush us. When rolling with a training partner you can easily beat, don’t take the easy way out and just throw on your best submission every time—use this roll to try new techniques or roll from a position you are week from. When rolling against someone who can easily beat you, don’t put all your focus on not getting tapped at all costs—concentrate on things like good postures, good movements, good fundamentals, etc. Don’t be afraid to use positional sparring during open mat when it makes sense. Positional sparring during live sparring might make sense if you’re working on a specific move or specific piece of your game—this could be especially helpful if you roll with a more advanced training partner who is especially good at what you’re working on who can give you feedback after the roll. It might also make sense if you’re nursing an injury and are concerned some positions may leave you vulnerable to aggravate the injury. Positional sparring may also make sense when rolling with a new student who is not comfortable engaging—you can save time and get to the actual sparring if you just let them start in side control. To wrap things up: Live sparring is a great way to evaluate your jiu jitsu, make adjustments, and refine your technique. To get the most out of it you need to treat it as a learning and training exercise as opposed to a competition to be won or lost. Always remember—there is no honor in gym wins. This week we bring you an interview with Kim Pruyssers. 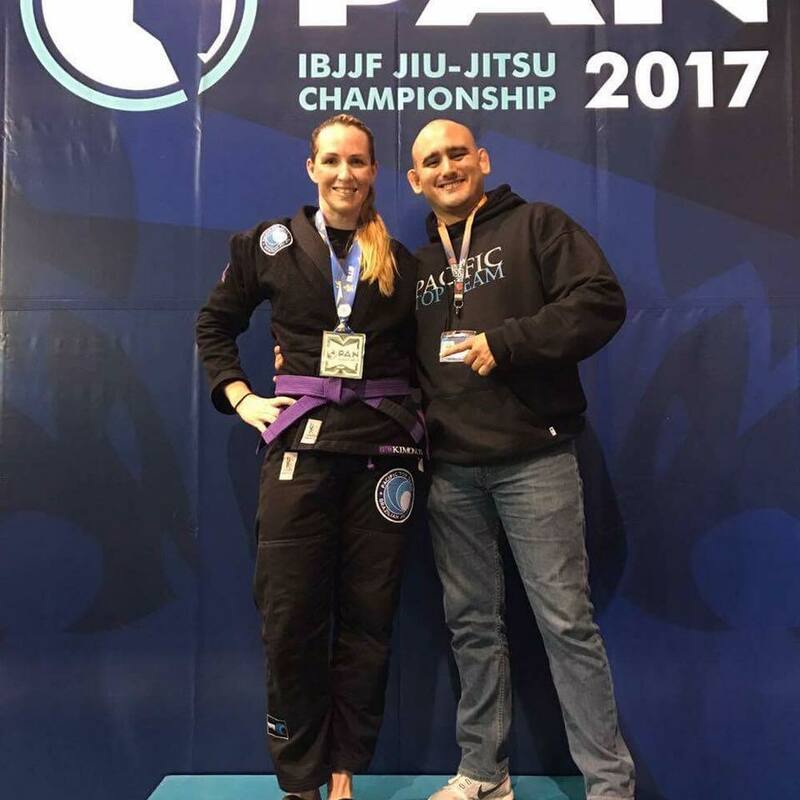 Kim is a purple belt in BJJ, she recently placed silver at Pan Am. You can find Kim training at Pacific Top Team in Corona California.